In the year of 1769, the Summer Exhibition at the Royal Academy of Arts was launched for the first time. 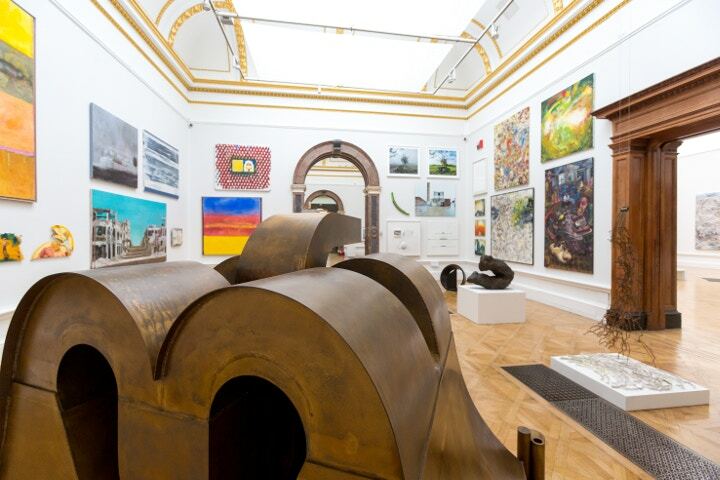 The Summer Exhibition provides a unique platform for both emerging and established artists to showcase their work to an international audience, and was coordinated this year by the painter Hughie O’Donoghue. Highlights include a room dedicated to the display of works by newly elected Academicians, and the room curated by sculptor Cornelia Parker RA. Focusing on the theme of black and white, it includes works by high-profile artists Martin Creed, Jeremy Deller, Michael Craig-Martin and Tacita Dean. The longevity and vastness of this exhibition is a remarkable achievement year after year. We asked the Summer Exhibition curator, Edith Devaney, about what goes on behind the scenes, and what you can expect from the 2014 show. What was it like curating such a huge exhibition? 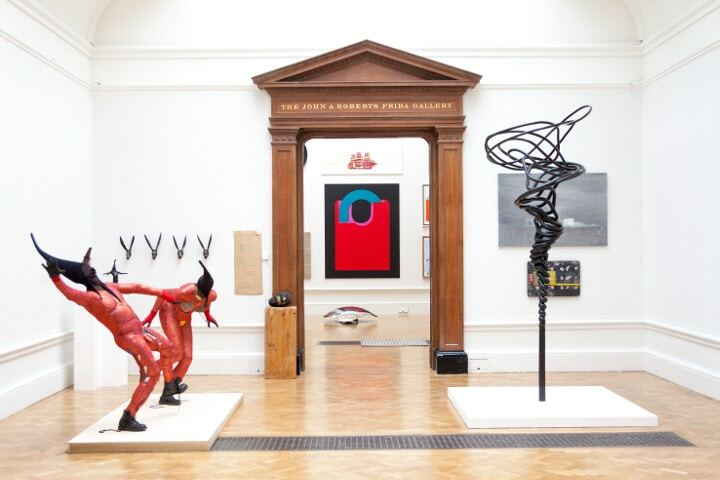 Are there any differences to this year’s Summer Exhibition compared to previous years – what can we expect to see? We work hard to bring changes in emphasis and focus each year. This year we invited the sculptor Cornelia Parker to curate a room and invite artists to contribute work who one would not normally expect to see in the Summer Exhibition. She curated around the theme of Black and White and there are some extraordinary works included – many of which are conceptual. Ryan Gander, Richard Woods, Richard Wentworth, Laure Provost and Jeremy Deller are included amongst many others. The other focus we have this year is on newly elected Academicians and artists like Wolfgang Tilmans, Chantal Joffe and Conrad Shawcross are hung together. The Summer Exhibition Committee changes every year, and the new group of Academicians inevitably bring different interests and knowledge to the selection and arrangement of the exhibition. A room stacked with thousands of entries was exactly how it was up until last year. This year we initiated digital selection where, after one solid week of judging, 12,000 entries were reduced to 4,000. These 4,000 were then brought in to the Academy for a second round of judging. What would your advice be to someone submitting their work for the Summer Exhibition next year? It is very important to find your own visual language. It is that freshness of approach in tackling a subject that leaps out at the judges during selection. There is normally an artwork that gets people talking – David Mach’s gorilla made out of coat hangers from 2010 was definitely memorable! Is there one major talking-point to look out for this year? It might be the first work you encounter when you come into the exhibition: ‘Cake Man’ by Yinka Shonibare. This gloriously patterned and coloured work hides a less celebratory meaning – the notion of the decadence of the few (represented by the piles of elaborate cakes), being supported by the labours of others (the man supporting the cakes on his back). It is a work that everyone seems to respond to. Cass Art has teamed up with the Royal Academy of Arts to offer you the chance to win a luxury weekend for two in London. We’ll whisk you away to enjoy two nights at The Chesterfield Hotel in fashionable Mayfair, then you can beat the crowds with an exclusive private tour of the Summer Exhibition with an RA Expert. For extra inspiration when you get home, you’ll receive an accompanying Summer Exhibition catalogue and a Winsor & Newton Artists' Oil Colour wooden box set from Cass Art worth £345. Enter here before midnight on 31st July 2014 for your chance to win. Good luck! Cass Art has also partnered with the Royal Academy to bring you £2 off entry to the Summer Exhibition - purchase anything online or in-store at Cass Art to receive our offers leaflet with the discount voucher. Find our more and view all of our other great art offers here. The Summer Exhibition is open from 9th June to 17th August, from 10am to 6pm daily. Last admission is 5.30pm and there is a late night opening on Fridays until 10pm when last admission is 9.30pm.